Our Rock House Method award-winning Curriculum consists of a three book series that starts from the first time a student sees a bass and takes you to the most advanced level in all genres of music. Learn proper technique, scales, theory, riffs, bass lines, and complete songs. Learn all genres of music and techniques that are used for each such as slapping and popping, the finger drag, slides, hammer ons and pull offs. Throughout each book there are examples on how to apply what you are learning musically and have fun playing bass. Use the audio demonstrations, full band backing tracks and the on-line lesson support to create a complete effective learning experience. 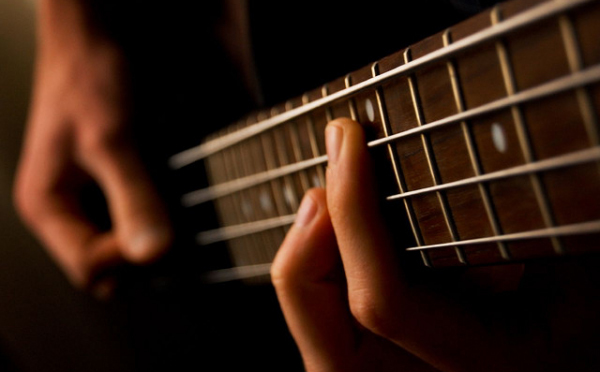 From A to Z we offer everything you need to play bass guitar! We offer bass guitar lessons at our two locations West Haven and Wallingford and all surrounding towns and cities. Rock House is the best place to learn to play music!